What could be better than protecting your phone with a case? 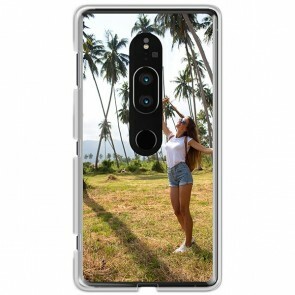 Printing your own custom Sony Xperia XZ2 Premium case with your favorite picture. At YourCustomPhoneCase.com, we offer you the possibility to make your own phone case in no time with our user-friendly customizer. It is very fast and easy. Choose the type of case you need, then upload your design from your phone, your computer or one of your social media accounts. You can also change the layout and add more pictures if one is not enough for you. Lacking inspiration? Choose one of our pre-made designs and templates! Finally, you can add a text, some stickers or a filter if you feel like it. You are done! Proceed to the checkout and you'll get your brand new custom Sony Xperia XZ2 Premium case in no time.